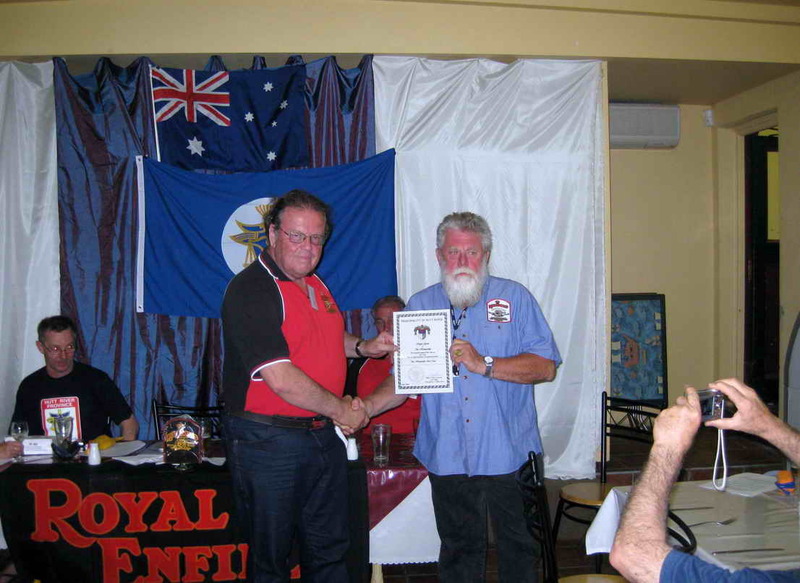 Hon Ian Coan receives his Principality Award, "The Honourable", from Bruce Walker RECoA President at the 2009 AGM held in Murwillumbah NSW. Bestowed with the Rank of Companion of the Order of Wisdom and Learning for his efforts and input into education, particularly in the areas of business and marketing. 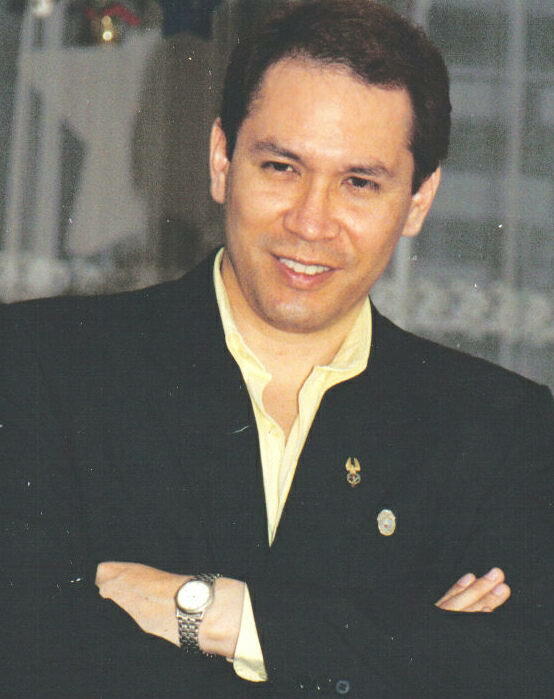 Dr. Carlos Mario Neyre Abad M.B.A., C.O.W.L. Hon. Chair of CCLP Worldwide, Vikrant Singh has been a pioneer in promoting the first ever Education Charter International (a literature based on the declaration of UN Higher Education for Twenty First Century) widely accepted and endorsed by Citizens and both Govt and non Govt organizations of more than 100 Countries to date. He has played active role in promoting the concept of Higher Education for better livelihood around the world. Joel has been an extremely valuable player for the Principality National Cricket Team. In 2008, Dedication's first year representing the Principality, Joel won the 'Most Dedicated Player' Award, voted by team members for the best player in the team. He has now won this award three times. Joel was also runner up for the Player of the Carnival Award, awarded to the best player from all teams across all divisions, at the 2008 Willowfest Australian Cricket Club Championships. He was joint winner of this award in 2007. McMahon was a vital contributor in Hutt River Dedication's wins at the 2008 Willowfest Carnival. He made a score of 37 not out in Dedication's successful chase of 103 and contributed 48 to Dedication's winning score of 207. Joel also holds the record score of 91 for Dedication. PHR Dedication Cricket Club website. Bestowed with the Rank of Commander in the Illustrious Order of Merit for his outstanding support and work towards those less advantaged located particularly in Africa and South America and especially in the area of improving opportunities for education in those regions. 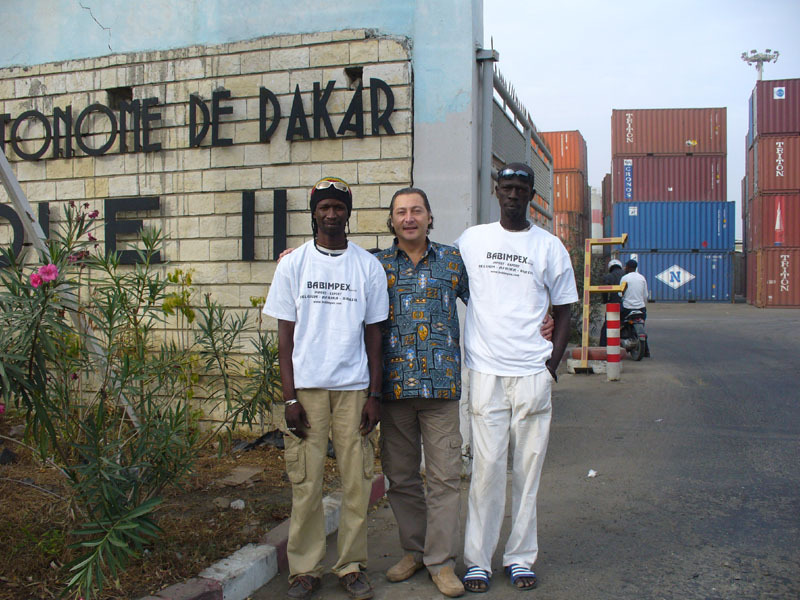 His major project currently to be the collecting of wheelchairs to be despatched to the many disabled who have need of them in Dakar, Africa. 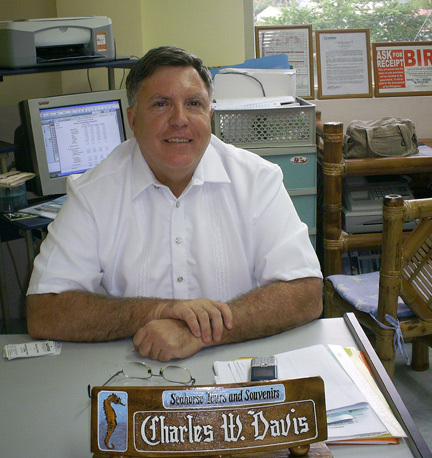 Mr. Davis is an American who has been helping the Philippines and it's people in his own way for over 12 years. In 2004, having taken a early retirement, he came to live in the Subic Bay area of the Philippines. He choose the area for its relaxing way of life, combination of jungle areas and seafront as well as the scuba diving. Charles had spent many weekends diving at the bay in the past, and had done extensive research on the local shipwrecks. After in depth research he wrote and had published the “Subic Bay Travel & Dive Guide”. The research for the book showed him that there was a need for a tour operator and better local marketing. Based on his findings, he established Seahorse Tours and Souvenirs in 2006.
and chose to speak on Customer Service skills as an often Overlooked Skill. Charles is: Marketing Director of the Greater Subic Bay Tourism Bureau (GSBTB), editor of its soon to be released quarterly magazine ” The Subik Traveller”, member of the Subic Bay Dive Association (SBDA) and is the historian for that organization. His work with the SBDA has also lead to his and Seahorse Tours involvement with Green Fins. The Green Fins Programme is an initiative of the United Nations Environment Programme. It was launched in 2004 in Thailand, Indonesia and Philippines. The Green Fins mission statement is “to protect and conserve coral reefs by establishing and implementing environmentally friendly guidelines to promote a sustainable diving tourism industry. Charles believes in staff development. He provides training and guidance for the best possible development of his staff. One thing that sets him apart of most local business leaders is that he then empowers the staff. Even a junior member of the staff is empowered with more authority than managers in most other companies. His confidence in us allows him to spend time with those organizations he supports. It is not uncommon for him to spend 40% of his time with them. In his personal life he is beyond reproach, people hold him in high esteem and he contributes to charities and cultural associations. He has a history of helping students having a scholarship or grant of some sort since 1998, currently he provides a full scholarship for a nursing student that includes a living allowance. The submission for recognition of this man for his efforts is one of the most detailed and praising applications that this Principality has received in a long time, the information above constitutes only a tiny part of what this man has achieved and has been detailed to us by his Peers and his Staff and associates. We Congratulate Sir Charles on attaining such a level of respect within his chosen community! Bestowed with the Rank of Knight Grand Commander in the Illustrious Order of Merit Mr. Leonard Abess is CEO of City National Bank of Florida, Vice Chairman of the University of Miami Board of Trustees, chairman of the Academic Affairs committee, chairman elect of the Executive Committee, Former Chairman of the University's Finance and Investments committees where he remains a member, and a member of the Trustee Service committee and the Visiting Committee for the University's Rosenstiel School of Marine and Atmospheric Science. He is a Trustee of Fairchild Tropical Garden and The Nature Conservancy/Florida Chapter; and a former Trustee of the Eaglebrook School in Deerfield, Mass. former Chairman of the Board of Mount Sinai Medical Centre, where he remains a Founder and Trustee; former Chairman of the Mount Sinai Finance Committee, Audit Committee and Nominating Committee; and former Treasurer of the Medical Centre's Board of Trustees. He is a Board member of The Greater Miami Jewish Federation. Mr. Abess is a member of the Orange Bowl Committee; the World Presidents Organization; the Chief Executives Organization; the Cabinet and National Commission of the Anti-Defamation League of B'nai B'rith; the Miami Business Forum. A devoted environmentalist, he is a member of the World Wildlife Fund's National Advisory Council, a Fellow of the Palm Society and the Audubon Society. 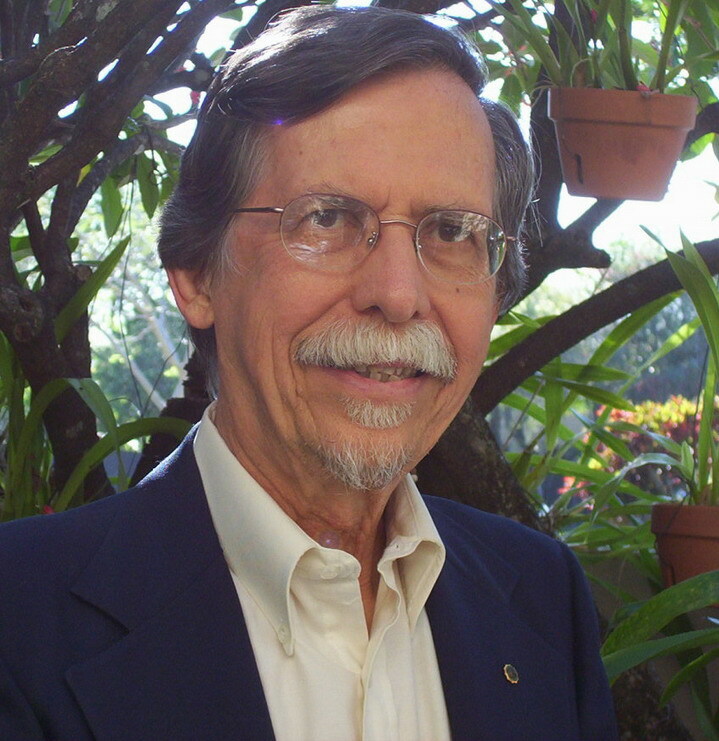 To foster interdisciplinary approaches to environmental management and decision-making on a global level, his family endowed the Leonard and Jayne Abess Center for Ecosystem Science and Policy (CESP) at the University of Miami; founded the Abess Centre for Environmental Studies at Miami Country Day School and the Abess Floating Research Station in the Brazilian Amazon. Mr. Abess is the recipient of the Miami Beach Chamber of Commerce 2006 Doc Baker Lifetime Achievement Award and co-recipient with his wife, Jayne, of the Greater Miami Chamber of Commerce 2007 "Sand in My Shoes" award. He received the Florida Anti-Defamation League's 2002 Distinguished Public and Community Service Award and the 2002 Silver Medallion for Service to Humanity from the National Conference for Community and Justice. A graduate of Wharton School at the University of Pennsylvania, Mr. Abess was inducted into the South Florida Business Hall of Fame in 2002. 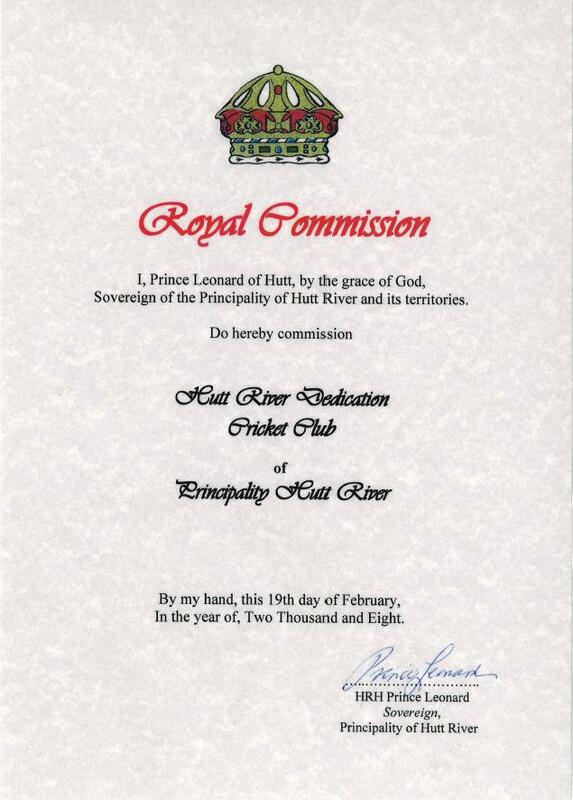 Sir Leonard Abess Jr. . K.G.C.I.O.M. Elevated to the Rank of Knight Grand Commander of the Royal Order for his ongoing and unfailing loyal and steadfast services in both offices of which he holds and in recognition of years of continuing active support of the Principality, it's Sovereign and the history and heraldry of the land and it's people. Dr. Sir David P. Burkart K.G.C.R.O. In the 2009 New Years Honours list Pat Hodges, Manager of Foodbank - Geraldton was awarded a D.C.S.O.L. and her assistant Doug Bibby a K.S.O.L. for their tireless dedication beyond the norm, in their management of the Foodbank - Geraldton Charitable Food Distribution Centre to most of the huge State of Western Australia. I t was reluctantly, accepted by both of these honourable persons because, as they said, it is a team effort put in by all the staff (most are volunteers), the organisation itself (Foodbank W.A. website, click here!) and the many suppliers and retailers, etc that supply the necessary foods, other items and services to make it all happen. For the first time, HRH Princess Shirley and the Board of Directors of the Red Cross of Hutt Charitable Trust have seen fit to honour the Geraldton branch of Foodbank Western Australia for the efforts put into such a wonderfully supportive, essential service to the community of Western Australia including many of those in the most remote parts of that State of Australia. Once again, all those involved deserve awards for all that they manage to achieve every week of the year for their fellow human beings, a very admirable position in which so few of us would ever find ourselves. To honour all involved, it has been decided to Commission the first ever PHR Red Cross of Hutt Charitable Shield and award it to Foodbank - Geraldton! CONGRATULATIONS to all involved on a job and service continually WELL DONE!